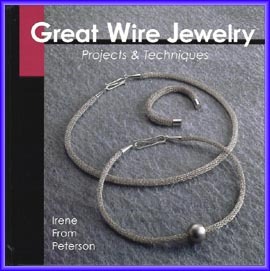 Jewelry is hot, and wire jewelry is sizzling. Based on traditional techniques invented by the Vikings, these 70 gorgeous projects require only a spool of wire, a few simple tools, and this book's helpful guidance. There are enough earrings, bracelets, chokers, and pins to keep both beginnig and advanced jewelry makers coming back for more. Color photos of finished pieces and step-by-step instructions make it easy.